We offer FREE English as a Second Language classes and Spanish learning classes to help adult participants increase their spoken fluency in English or Spanish through two levels of class. ESL on Wednesday evening and Spanish on Thursday evening. Childcare is provided for ESL. If you want to join the program as a volunteer or need more information, please find us at www.linklanguagelearning.org or contact us at linklanguagelearning@gmail.com. From January to April, on the 2nd and 4th Saturdays of the month, you can warm up with a cup of delicious homemade soup and fellowship. Volunteers are welcome. Come and be a blessing to the Montclair and East Orange community. Family Movie Night is going on! Come on every 4th Sunday at 7pm from May to September, and enjoy a free movie and snacks with your friends and family. - May 25, 2018: "Wonder"
- June 22, 2018: "Mully"
- July 27, 2018: "Coco"
- August 24, 2018: "The Case for Christ"
An annual outdoor event welcoming all ages. We invite local artists, vendors, and food trucks and offer live music and kids activities. This year's event is on Saturday, September 8th, 10am to 5pm. 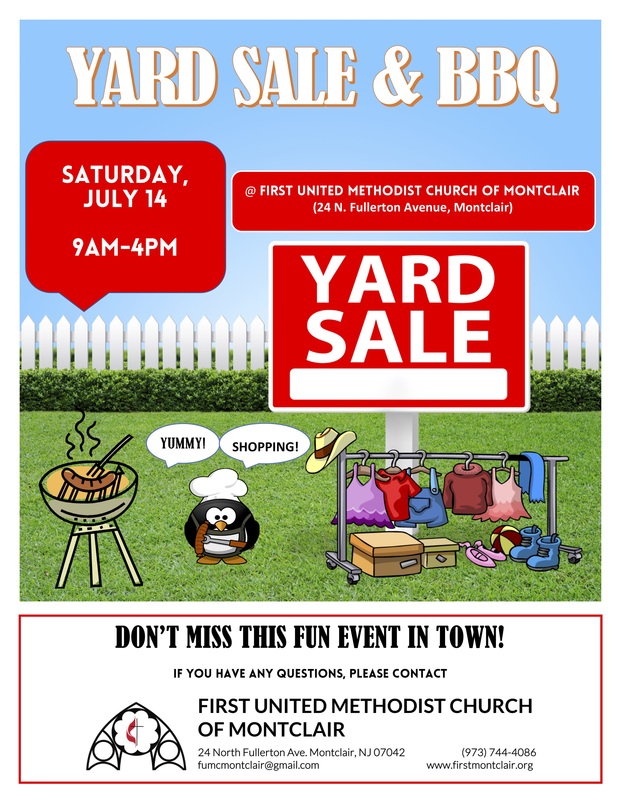 Our annual yard sale and BBQ is widely well-known in the community for fine items and tasty BBQ food. ​This year's event is scheduled for Saturday, July 8th. Please find the flyer here. Each Sunday we collect groceries for those who are in need of food. All items go to The Human Needs Food Pantry in Montclair.